Spirit Guides! 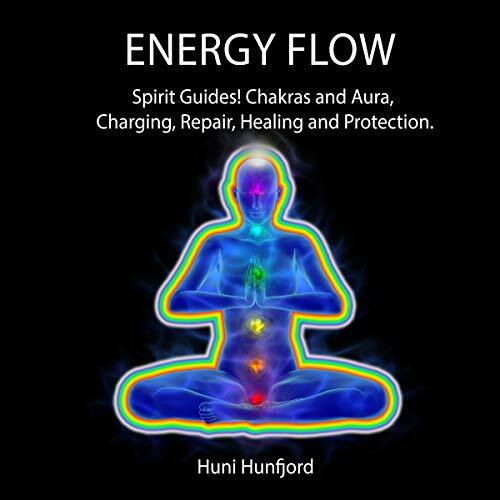 Chakras and Aura, Charging, Repair, Healing, and Protection. One of the most common reasons for today's diseases is that our energy gets clogged up in our body or the chakras are overactive. When they are overactive they take in more energy than the body needs and can process. These energy imbalances are also associated with a lack of energy that people experience in their lives, not just diseases. However, this does not mean that the energy block it, or the overflow of energy is the origin that caused the disease, because the reason for the energy imbalance is almost always directly connected to your emotions, something you hold on to, hate, fear, anger or somehow related to your purpose here on earth. The energy imbalance is always a messages for you. Spirit guides are very different from one another. They can be a spirit that has gone through lifetimes likes you are experiencing here right now, and some have not. We all sense our spirit guides in different ways. Some see them, some hear them, some feel they and others get thoughts directly from the spirit guides and I am one of those who gets messages and answers through my thoughts. I get answers that come to me as thoughts and I listen to them and then execute. How do I know that this is not simply thoughts I have created myself? Because I can now speak directly to spirit guides through my healing work. When people come to me for a self-healing session, I get the opportunity to speak directly to their spirit guides and ask questions on behalf of the client whom I am facilitating the self-healing session for. It may sound strange that I sit and talk to the person while the spirit guides enter their body, work on their body, and answer questions about life while doing so, but that is what actually is happening in the sessions. This work has enabled me for example, to confirmation of whether or not, the chakras have been fully opened or closed, and get answers on how to make the energy flow method more effective and powerful. I was guided to make it more powerful.